There is no doubt about it, we are spoilt for choice when it comes to gorgeous Australian Beauty Brands. 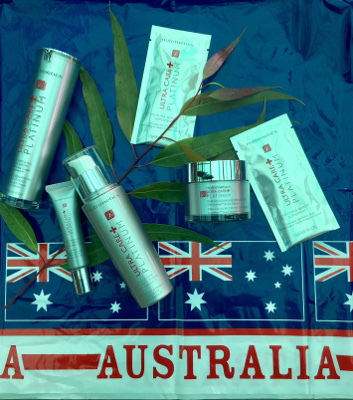 With an entrepreneurial spirit, our love of all things skincare/makeup/haircare, and the necessity to protect our skin from the sun, we are true beauty aficionados in Australia, and punch well above our weight when it comes to home grown beauty. 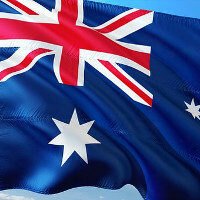 With Australia Day just around the corner, we thought we’d celebrate the best of Australian Beauty, and showcase our favourite Australian beauty brands and products. The endota spa story began in 2000 when founder Melanie Gleeson pursued her dream to give back and inspire women to connect with themselves. The first day spa on Victoria’s Mornington Peninsula paved the way for wellbeing to be considered a priority rather than a treat (we all know we tend to put the needs of others ahead of ourselves on a regular basis!). Endota spa isn’t just about the spa ritual – they aim to live consciously and give back wherever possible. endota spa products are formulated with a range of ethically sourced Australian ingredients, to leave your skin feeling refreshed or renewed. To help us age gracefully, we love the Serums from the endota New Age range, including the Age-defying Retinol Serum, which helps to improve skin elasticity and firmness, 30ml RRP $140.00, the Peptide 8 Hyaluronic Serum, which helps to reduce the appearance of fine lines and wrinkles, while it visibly plumps and smooths skin, 30ml RRP $180.00, and the Super C Firming Serum, with encapsulated vitamin C and antioxidants it helps to reduce the appearance of age spots, and correct hyperpigmentation, 30ml RRP $140.00. The Nutrimetics story began a long (long) way away in the Hunza valley of the Himalayas, when a group of Western explorers were studying the Hunzakut tribe and their way of life. Despite the extreme conditions of the Himalayas, the Hunza had wonderful youthful complexions, and it was found that the key to their smooth and youthful skin was Apricot Kernel Oil. Fast forward to 1968, and Nutrimetics was founded by Bill and Imelda Roche, with the launch of the legendary Nutri-Rich Oil. Apricot Kernel Oil still forms the core of the ingredients for the heritage Nutri-Rich range, and has helped thousands of Australian women maintain a youthful complexion over the years. Using only the highest quality ingredients, it is Nutrimetics mission to help women feel beautiful inside and out. Nutrimetics products are dermatologically tested, and not tested on animals, and free from animal derived ingredients. For my mature skin, I absolutely love the Ultra Care+ Platinum Range, with each product delivering hi-tech ingredients to help prevent, and repair the signs of ageing. My favourite products from the range are the Platinum Multi-Active Cleanser & Masque, a brilliant 2-in-1 product which thoroughly removes makeup and impurities, whilst hydrating my skin, and provides intense hydration when used as a mask, 115ml RRP $55.00. The Platinum Tight Firm & Fill Face Serum, with its concentrated dose of Tri-Peptide Complex in an ultra light formula helps to firm and rejuvenate my skin, 30ml RRP $112.00, whilst the Platinum DNA Cellular Age Repair Crème helps to activate cell renewal, plump skin, and protect against loss of elasticity, 60ml RRP $86.00. The Platinum Tight Firm & Fill Eye Serum with its gentle micro-rollerball applicator helps to plump, firm, and lift fine lines, whilst powerful botanicals go to work on dark circles and under eye bags, 10ml RRP $66.00. Rounding out my favourites from the range, being 50+, I love the Platinum Youthful Beauty Supplement, with its combination of Amino Acids, Vitamins and Minerals, it helps to promote collagen formation and help to improve skin elasticity (and as a bonus, they are suitable for vegetarians), pack of 20 x 10g sachets RRP $79.00. 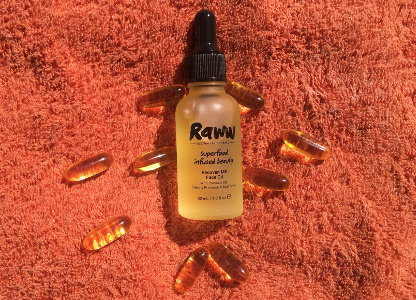 RAWW Cosmetics was founded on the premise of using only the best superfood and natural ingredients in their products, and leaving out the nasty toxins. The affordable range uses superfoods such as the Australian Kakadu Plum, Wildberry Harvest, Acai, Pomegranate and Coconut, and the products really do smell as good as they sound. The range is cruelty free, Cosmos certified natural, mostly made in Australia, and has a wide range of certified Vegan products. Good for your skin and good for the environment – win-win. We love the RAWW Recover-ME Face Oil, formulated with the goodness of Coconut Oil, Evening Primrose, and Acai Berry, as well as Lime, Carrot and Avocado Oils, it is the ultimate, budget-friendly recovery oil for tired, dull skin. The Vegan friendly formula smells as good as it sounds, and leaves your skin hydrated and glowing. 30ml RRP $29.99. wotnot was founded after founders and mothers, Sinead Roberts and Sioned Guard, launched the first environmentally-friendly nappy in Australia, and it fast gathered a cult following of health-conscious hipsters, environmentalists and yummy mummies alike. The customers loved the quality and eco credentials of the nappy and were quick to ask for complementary all-natural products of an equally high standard. Wotnot was born to do just that and is still growing the same mission today. Wotnot products are reflections of core values – using only organic and sustainably sourced materials where possible, providing customers with the opportunity to purchase skin and baby care that won’t impact the earth negatively. Wotnot goes to great lengths to ensure that the products they make are of premium quality, with no compromise to your skin or the environment and with no animal testing. Sustainability and kindness, to each other and the planet! 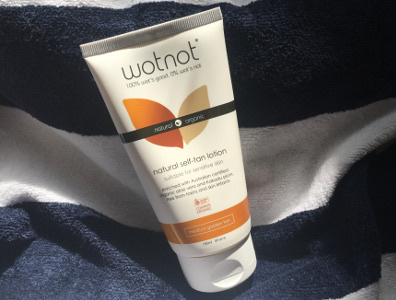 To care for our skin and protect it naturally, we love the Wotnot Natural Self-Tan Lotion. Some self tanners have that awful “fake tan” smell, and can look unnatural. Not wotnot naturals. Formulated with certified organic Kakadu plum, camellia oil, and certified organic aloe vera, your skin is left soothed and hydrated, with a lovely natural colour. The Cosmos certified, Vegan, and Cruelty-Free Self Tanner is gentle enough to use on sensitive skin. 150g RRP $29.99. Jurlique changed the way we look at beauty when it founded in the ’80’s. Dr Jürgen Klein, a biochemist, and his wife Ulrike, a botanist, had always been passionate believers in the healing power of nature. Their vision was to create a pure and natural skin care range combining the ancient arts of alchemy, herbal medicine and homeopathy to reconnect people to nature, back in the 1980s, when beauty products came from the lab, not the land. They found the land they were looking for in the unspoilt Adelaide Hills in South Australia, and so the seed that was to create the powerhouse Jurlique was planted. 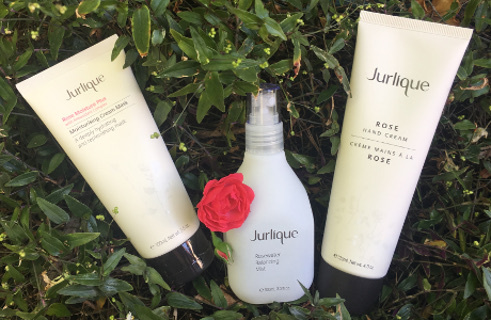 Today, Jurlique products are sold in more than 19 countries around the world. And the most iconic natural ingredients are still grown in the Adelaide Hills where Jurlique first began. With so many toxins and chemicals in the environment today, it’s a pleasant change of pace to be able to use skincare products that use the power of plants and nature to treat our skin. With so many gorgeous products to choose from it was hard to pick a favourite, so we picked a range. We just love (love, love) the rose range, with its nourishing and hydrating properties, and that gorgeous rose scent, it’s our go-to range. In particular, we love the Rosewater Balancing Mist, which is packed with antioxidants to hydrate and refresh your skin – it’s a Summer must have, 50ml RRP $35.00, the Rose Hand Cream, with its rich, protective formula to keep hands nourished and smooth, 125ml RRP $59.00, and the Rose Moisture Plus Moisturising Cream Mask, the rich treatment mask deeply hydrates and nourishes dehydrated skin, 100ml RRP $55.00. In 2007, Sukin was launched in Melbourne, Australia, after the founders identified a gap in the market for high efficacy, environmentally sustainable and affordable natural skincare. Sukin utilises an abundance of beautiful botanicals, antioxidants and essential oils to restore the natural vitality and radiance of your skin and hair. The extensive product offering boasts skincare innovation and natural beauty, and the extensive “No” list is almost as long as a regular ingredient list. Sukin cosmetics contain no: Petrolatum/Mineral Oils, Synthetic Fragrances, Animal Derivatives, Artifical Colour, Harsh Detergents, Propylene Glycol, MEA/DEA/TEA, Phthalates, Triclosan, Sulphates, Parabens, Silicones, EDTA. All of the products produced by Sukin are Australian made with ingredients that are naturally derived, cruelty free and vegan. All formulations are 100% Carbon Neutral, biodegradable and grey water safe. 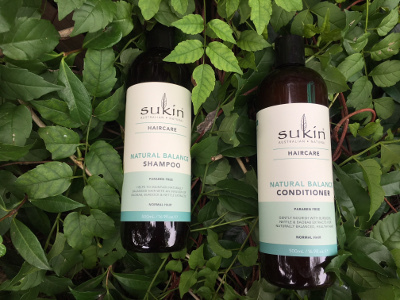 To keep our hair in tip condition, we love the Sukin Volumising Shampoo and Conditioner, which helps to improve hair strength whilst it builds fulness for fine hair, 500ml each, RRP $14.95 each. We also love, for the times when it is humid and we don’t need anymore fullness – like right about now, the Natural Balance Shampoo & Conditioner (pictured), a wonderful everyday range, which gently cleanses, moisturises, and protects our hair, leaving it gorgeously soft and shiny, 500ml each, RRP $14.95 each. Inika started in Sydney in 2006, and is 100% Australian owned. 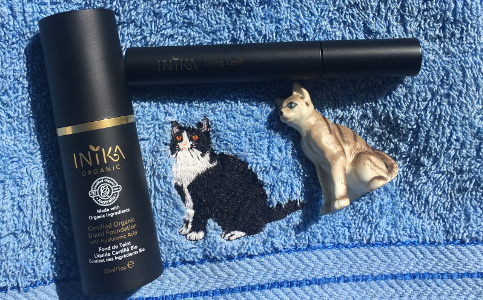 Seeing a need in the market for a makeup line that was naturally based, and free from toxins, Inika quickly became a globally recognised and trusted go-to brand for organic and natural makeup. Inika Organics uses a range of the finest Australian botanicals, pure minerals, and certified organic ingredients to produce makeup that cares for your skin as well as performing brilliantly. INIKA ingredients feed the skin in a soothing manner, whilst being beneficial. All products in the natural cosmetic range are Certified Organic or Vegan, Certified Halal and Certified Cruelty Free. For a luminous glow, we love the buildable coverage of the Certified Organic Liquid Foundation, with Hyaluronic Acid. The Cruelty-Free, Vegan formula, with a raft of natural antioxidants, vitamins and, minerals, leaves your skin hydrated, and plum, with a gorgeous natural colour, which dries to a matte finish. Available in 8 shades 30ml RRP $65.00. We love to complete our look with the Long Lash Vegan Mascara, which is formulated with mineral pigments to deliver rich, long lasting colour. The 100% plant derived and natural ingredients combine to boost the length and volume of our lashes. Available in Black 8ml RRP $45.00. 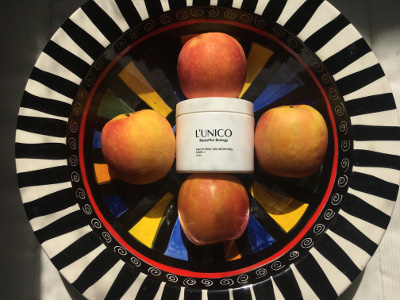 Boutique Australian brand L’unico Laboratory blends the most concentrated ingredients from natural sources, into the most powerful biological formulas known to science, which instantly absorb to protect and rebuild your skin. Products are developed to have high concentrations of peptides and active ingredients that make a real difference to your skin, and the 100% light resistant packaging ensures they don’t oxidise or degrade on the shelf. L’Unico Laboratory products are not tested on animals (though they are tested on some customers! ), and are cruelty free. To bring a glow to our mature skin, we love the Phyto Fruit AHA Micro Peel, which gently yet thoroughly removes dead skin cells so our skin instantly looks brighter and more radiant, and our skin can more fully absorb the nutrition from other skincare products. 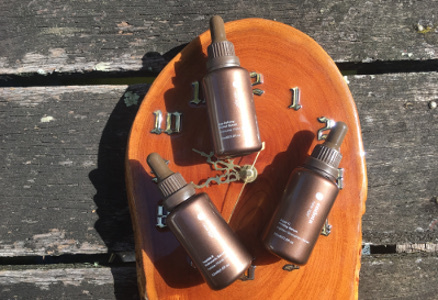 Being a boutique brand has an advantage – the product is blended in small batches, and is available in 3 strengths, to suit different skin tones – level 1 for fair skin, which we use, level 2 for olive skin, and level 3 for dark skin. 118ml RRP $90.00. In 1932, Hamilton Laboratories was established by Adelaide chemist Milton Blake and his colleagues, to begin production of one of the world’s first commercial sunscreens. In Milton Blake’s transcripts he referred to himself as H.A. Milton, revealing how the company got its name. Since those early days Hamilton sunscreens have undergone continuous development, testing and improvements, to result in the wide range available today, with Hamilton has become a leading, and favourite sun care brand. Hamilton has extended its range, developing skincare products that soothe and protect dry and sensitive skin, from our harsh Australian environment. 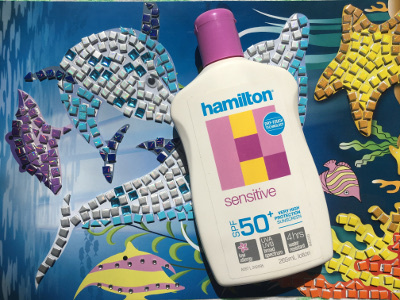 To protect our skin throughout the year, we love the Hamilton Sensitive Sunscreen, with SPF 50+ very high UVA/UVB broad spectrum protection, 4 hours water resistance, fast absorption, in a gentle, dry-touch fragrance free formula, it’s perfect everyday use. It’s a great gentle option if you have young children/grandchildren, or if your skin is suffering sensitive flare ups. 265ml RRP $17.95. Simplicite was founded in Queensland by clinical naturopath David Lyons (who has over 35 years experience treating various skin conditions), and his wife Robin, with the brand’s belief in making the highest possible quality natural skin care, to gently and effectively improve the skin’s appearance. Many of the brands plant extract ingredients are sourced from the family farm in the Lockyer Valley. Simplicite believes you can get your best skin ever by using products that revitalise your skin and feed it back to life, and uses concentrated plant derived ingredients that are of medicinal grade to give you the magnificent skin at any age. 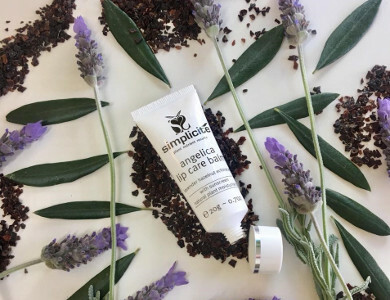 To keep our mature lips in tip top condition year round, we love the Angelica Lip Care Balm, with Avocado, Green Oats, Angelica and Echinacea. The SPF 10 helps to prevent our lips becoming sunburnt, which the Avocado deeply moisturises, resulting in silky soft, smile-worthy lips. The addition of Green Oats helps to reduce the signs of premature ageing, such as fine lines and wrinkles, whilst Angelica and Echinacea help in the prevention and treatment of cold sores, should you suffer from these (I find these 2 ingredients help to soothe my lips when they become dry and cracked over Winter). 20g RRP $31.90. Now you’ve seen our favourite Australian Beauty Brands, what do you think? Have you heard of all of these? Is your favourite on the list? Let us know in the comments below, and why not shop local next time you need a beauty product?